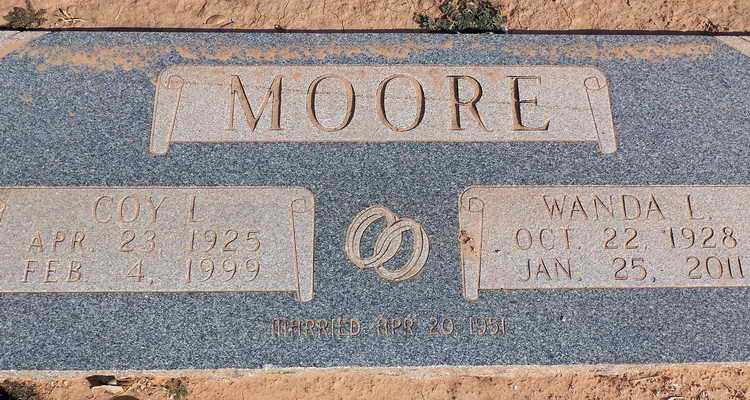 Grave markers for Coy L. Moore in the Garden of Memories Cemetery , Sweetwater (Nolan county), Texas. Coy enlisted in the Army at Dallas, TX on 23 September 1943 and served in Company C, 508th PIR. Pvt Moore was appointed to the grade of Pfc on 1 January 1945. 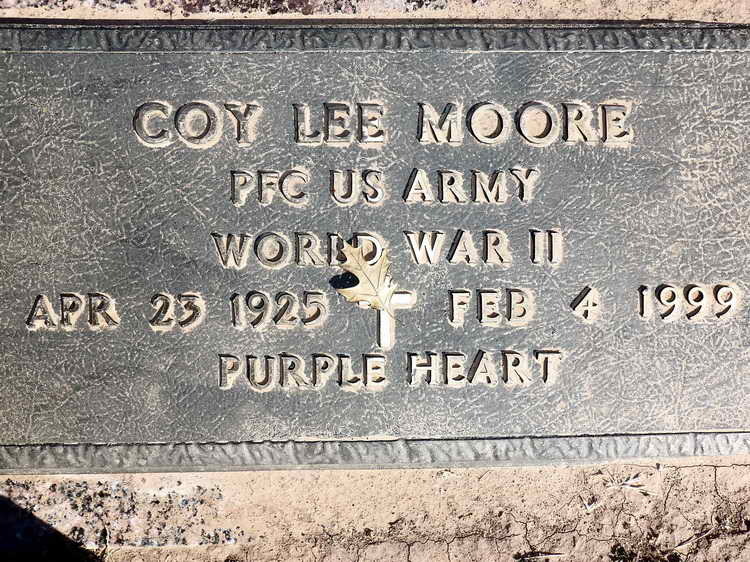 Pvt Moore was wounded in action in Holland on 12 November 1944 and was awarded the Purple Heart. He was also awarded the Bronze Service Arrowhead device for the Holland campaign and Airborne operations.